The Scottish Speciality Food Show has just come to an end. For the last three days, producers from all over the UK have been tirelessly presenting and pitching their products to the catering and gift trade. Myself and Nicola attended the show on Sunday afternoon and had a great time talking with producers and sampling their wares. 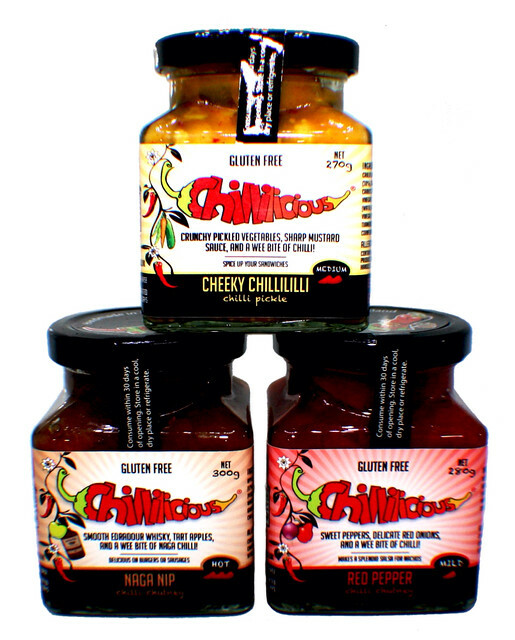 As a huge chutney and pickle fan, my eyes were drawn to the colourful branding of Chillilicious, a family run business who produce a range of relishes inspired by and infused with the chillies that they grow on their very own chilli farm. Chillilicious started as an idea of Tricia's in October 2010. I was working abroad and she called me (5am my time i'd like to add as she forgot the time difference!) very excited and asked for my help setting up her chilli chutney business. 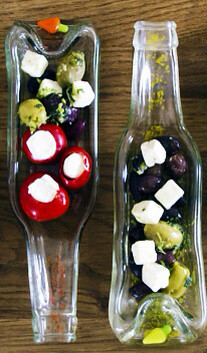 The company launched in May 2011 as a food and art venture between Tricia and myself. It was incredibly well received - we had over 1000 visitors on the day we launched our products from the farm! 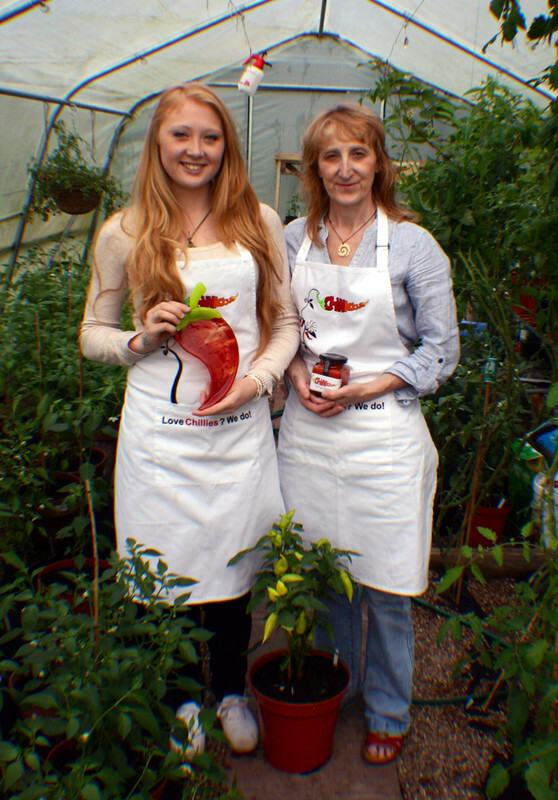 Today Tricia is the Chef of Chillilicious, I myself run the chilli glass studio and my Dad Carl heads up the growing aspect of our fresh chillies. Do it YOUR way. When we started Chillilicious many people thought we were mad! Food AND art? How does that work? Chillies grown in Scotland? NEVER! Well here we are almost 3 years later and we're going strong! Our business was created from a love of what we do and a strong family bond. Chillilicious has evolved by listening to public feedback and the willingness to be flexible to the needs of our customers. I see The Chillilicious Farm being the number one stop for all your chilli needs! I want to stock not only our wonderful products but products from chilli farms around the UK, therefore continuing to educate the public on the world of chillies as well as supporting our UK economy. There are so many amazing chilli products being created actually IN the uk that we shouldn't need to import from abroad. Support local! Tricia's Chillilicious Cheeky Chillililli! My Mum makes the BEST piccalilli you'll ever try - fact. I eat it with everything and there never seems to be any left over in the sample jars when i come home from manning our stall... yum yum yum. I'd invite Wilbur Scoville! 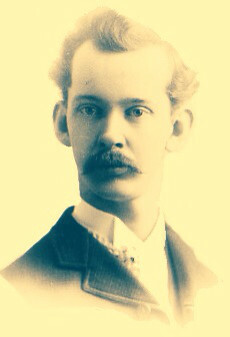 Auld Willie was an American Pharmacist who in 1912 invented the Scoville Scale - how to measure the heat of a chilli! What a clever chappy. I'd serve a selection of the worlds hottest chillies to show the excellent use of his system however keeping in mind since Wilbur passed away in 1942 chillies have been getting hotter so perhaps i'll serve milk as well - just to be a good host! The chutney and pickle market is a crowded one yet with very distinctive branding and huge flavour crammed into each and every jar, I'm sure that it's only a matter if time before the Chillilicious name is on the tip of everyone's tongue. Keep up to date with Chillilicious on Facebook and Twitter.